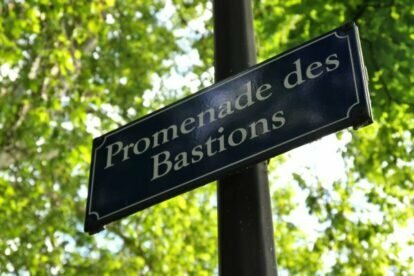 The location of the very first botanical garden in Geneva, the Parc des Bastions, is very present in the city’s everyday life. One of the most versatile spaces in the city, it plays host to numerous events such as music festivals, ice-skating rinks, bicycle race stages and marathon arrivals. Genevans come there on the weekends to play chess on oversized boards drawn on the concrete near the main entrance, and during the spring and summer weeks, it’s very common to see University Students laying on the grass with their laptops open, using the free wifi provided by the city of Geneva in all the park. The botanical garden moved to the other side of the Rhône in 1904, when the International Monument to the Reformation (or Reformation Wall) was built, but near the university building, if you look for them, you will still find little signs describing a couple of the trees and bushes. From one end to the other, the park is constantly bursting with life, but in a calm, quiet way, which makes it a great place to relax and take a nap.